Looking for things to do this month ?As you may know there is something or the other always going on in Dubai, whether it’s an event, a festival, a race, a conference or something a bit more social… You will never be short of things to try or explore! So what’s going on this month? We have picked a few things, from music to family fun and something for your wallets to indulge in! No, it’s not the British TV channel, this event is a fashion and beauty event; Concept Big Brands Carnival. The main niche in this event is fashion, a showcase of the latest brands, beauty products, and bags! There’s over 200 vendors and showcases, it’s not just a shopping opportunity, but an opportunity for brand awareness and consumer interaction! It is on from September 5-9 in the World trade centre and it’s free! This is catered to all students 15+, a 6week course that is aimed at students who enjoy art away from school. The art academy offers personalised and person tailored guidance, exploring the artistic minds of our younger generation. The cost is 2000AED and it will be at Alserkal Avenue in Al Quoz. The main aim is to allow students to gain experience, build their portfolios, become confident in their work and initiate new skills in their art worlds! The sessions will run from 16.30-18.30. Click here for more info! An iconic artist, a true lover of music, this is a concert you wouldn’t want to miss! RFAK inspires and motivates many with his beautiful Qawwali pieces, following the steps of his uncle Nusrat Fateh Ali Khan (NFAK) and grandfather Fateh Ali Khan. You can be sure this show will sell out fast! Rahat began the art of muslim sufi music (Qawalis) at the age of three and first performed at the age of 9, on the death anniversary of his grandfather. He has toured the world with his uncle NFAK, touched the hearts of many people. It doesn’t matter if you’re 20 or 40, Rahat has his way with this genre of music, just like his lineage, but it doesn’t end there.. Rahat is also known for his “Unplugged” music and a few Bollywood ones too! From tours around the UK, india and Pakistan, he is now hitting Dubai! His show will be held at the world trade centre on the 16th September, prices ranging from 150AED-2000 (Bronze-Platinum). Find out more info here! As the holy pilgrimage is upon us, muslim all around the globe will be celebrating Eid, the end of Hajj, and if you’re not muslim, you can still get involved! There is usually Eid offers in the stores and pop up Eid workshops and childrens activities in malls, but heres another idea; The JBR beach will be hosting fireworks, lighting the night for all to enjoy! They will be on the 11-16th September and its once again, absolutely free! Why not check out the festivities and delights at the restaurants along the walk after the show? Make sure you get there early to get a good spot though! The one we wait for ALL YEAR ROUND, hustling and bustling electronics deals, if you don’t need to buy anything, just go for the thrill and buzz of it all! This event runs into October but starts on 30th September. 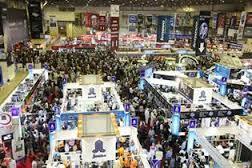 If you need a new phone, laptop, juicer, camera, a new knife set for the kitchen.. GITEX Has it all! The deals are too goo to miss! This one isn’t just for the spenders but the earners, GITEX is a great places for students and part time work, meet new people and learn new things! This event attracts people from all over the Middle East, Indian subcontinent and North Africa! Hosted at the World trade centre, theres an entry charge of 35AED but it’s hella’ worth it! A parody on the classic harry potter we know is hitting the walks of Dubai once again! This award nominated show condenses all seven books into seventy astonishingly funny minutes of live entertainment for all the family! If you need a giggle, even if you don’t know ALL the hogwarts houses or know the difference between the different balls in quid itch, this comedy act will surely get you in stitches! The show will be on from the 15th-17th September at the Dubai Community Theatre and Arts Centre in the mall of the emirates! Tickets are priced at 150AED or 200AED, more info can be found here! 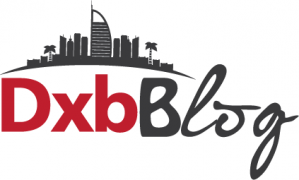 So if you’re at any of these events, send us a pict or #MyDxbBlogDubai on instagram!